You can see I was inspired by both the colours and the photo. went for the coffee/kraft and red colours and the hearts. I thought the puffy stamp heart really looked like the heart on the coffee! 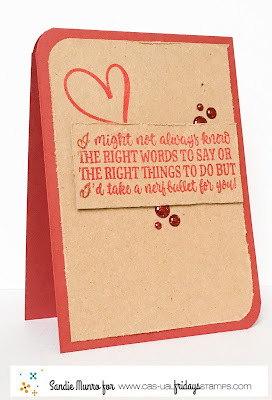 My sentiment is actually heat embossed on the kraft and I distressed the edges of this card to add a little more interest to this very CAS card! Make someone happy today with a very special card from you! 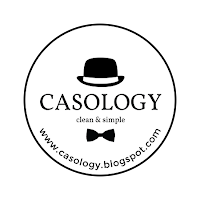 CASology-together. My take on this is that it is only togther that we can spread the word about awareness.If we all work together, we can do this! 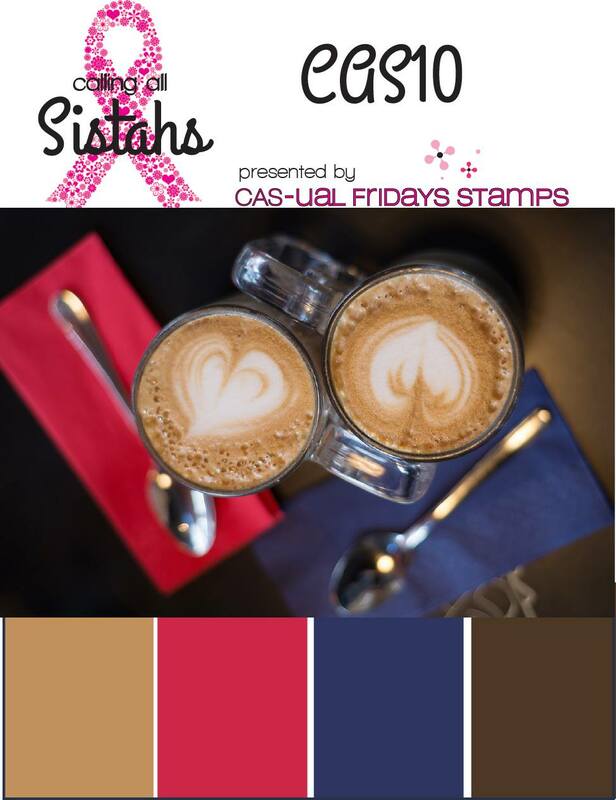 Sandie, you chose one of my favorite sentiments of all times from CAS-ual Fridays Stamps. Having a house full of boys means there have been lots of nerf gun wars over the years. This warms my heart. I love your take on the cue word, Sandie! Fabulous card. Thanks for sharing with us at CASology this week! Ha ha--love the sentiment--made me laugh! Very cute card. 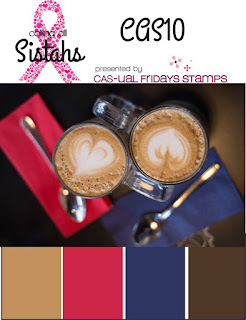 So stylish and fun and love the mix of red and Kraft! Aaah! This is a beautiful sentiment. Wonderful red on kraft. So happy you could join in the fun at CASology this week. This is such a beautiful card. Love that heart and the wonderful sentiment. Thanks so much for playing along at CASology this week. LOVE this card! The red and kraft are so pretty and that sentiment set is on my list for sure! Thanks so much for stopping by my place too!